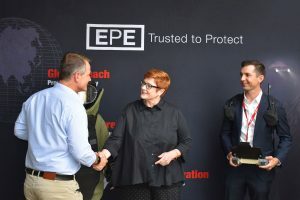 EPE was thrilled to host The Hon Marise Payne Minister for Foreign Affairs and Trade, Trevor Evans Member for Brisbane along with their teams Matt, Wade and Tony at our facility in Brisbane. 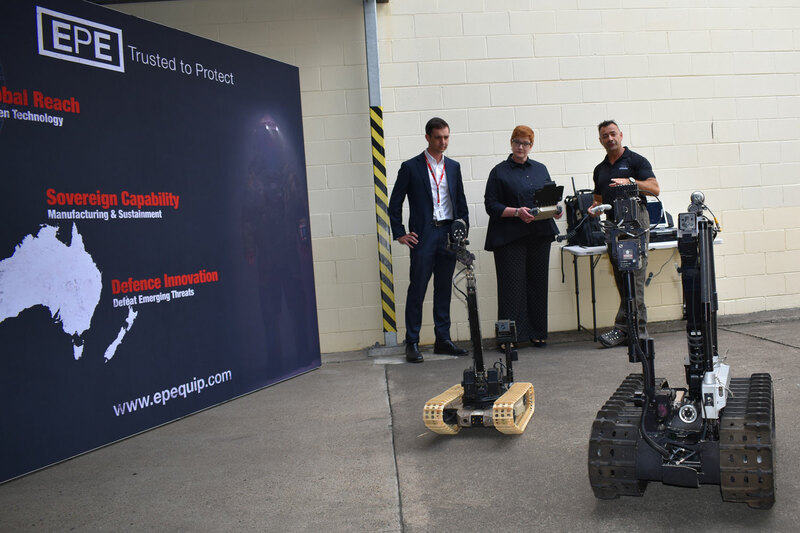 Having supported Department of Foreign Affairs and Trade for over a decade, we truly appreciate the opportunity to give the Minister an overview of the capability we provide that keeps our government staff safe on deployment in hostile environments. The entire EPE team genuinely enjoyed the opportunity to showcase bomsbuits and drive robots with Marise and Trevor.